Anil D’Cruz - GLOBAL ONCOLOGY, INC.
Director at the Tata Memorial Hospital, Mumbai, India and Professor and Surgeon in the Department of Head and Neck Surgery. He graduated from St.John’s Medical College, Bangalore in 1984 & went on to complete his Masters in general surgery at the Mumbai University. He is also a Diplomate of the National Board, New Delhi. In recognition of his professional standing in the field of Surgery, he was awarded the Honorary FRCS from the Royal College of Surgeons, London. Dr. D’Cruz has over 30 years experience in the field of Surgical Oncology focussing primarily on head and neck cancers. His major areas of interest are management of neck metastasis, conservative laryngeal surgery, cancers of the oral cavity, thyroid, quality of life issues and global health. He is actively involved in research and plays a pivotal role in a number of trials. As principal investigator, he has successfully published results of a prospective randomized controlled trial evaluating the role of elective neck dissection in the management of early oral cancers that is practice defining. In addition, he has been principal investigator of a Phase I trial evaluating the role of Interstitial Photodynamic Therapy (PDT) in advanced cancers and was the Global Principal Investigator for a trial evaluating the role of PDT in recurrent, refractory head and neck tumors. He is also the principal investigator of multicentric, multinational trials studying the role of targeted therapy in head and neck cancers in the concurrent, adjuvant and the palliative setting. He has been involved in research on the use of curcumin, proteomics, gene therapy in head and neck cancer. Dr. D’Cruz has leadership position in a number of cancer organizations. He is on the Board of Directors on the Union International on Cancer Control, Geneva as well as Governing Council, Foundation of Head and Neck Oncology, India. He is also on the Governing Board/Scientific Advisory Board of various leading institutions such as Gulf Medical University, All India Institute of Medical Sciences, Rishikesh, National Institute of Biomedical Genomics, Kalyani amongst others. He has been past-president of the Asian Society of Head and Neck Oncology, Foundation of Head and Neck Oncology, India; Task force, Department of Biotechnology, Government of India, and Cancer guidelines, Indian Council of Medical Research. 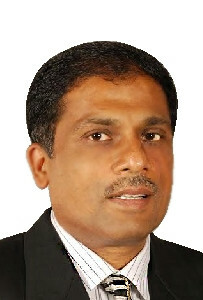 Dr D’cruz is a member of numerous professional bodies in the country which include, The Indian Society of Surgical Oncology, Association of Surgeons of India, Indian Society for Cancer Research, Indian Association of Surgical Oncology, Foundation of Head and Neck Oncology, Indian Society of Head and Neck Oncology and the Action council for Tobacco Control. Dr D’Cruz has over 200 peer reviewed publications, and chapters to his name. He is an editor of a two-volume book on Head and neck surgery and also the to-be-released Manual of Clinical Oncology and Hamilton Bailey Clinical Signs. He has delivered over 300 invited lectures and orations and has been visiting professor to several institutions, both nationally and internationally. He is a member of the Editorial Board of Head Neck journals and also is a reviewer for several scientific journals both national and international.